Your employees receive full membership benefits ($60). To add a membership to the Remodelers Council look for the "Add Ons" at the bottom of the page after you click the grey Next button above. The knowledge I have gained through membership and involvement in the HBRA has value that far exceeds the cost of annual membership. Fellow members I have learned from, the educational opportunities, and having a representation of our trade in legislative affairs is priceless. I cannot imagine what the cost of this knowledge would be if I had to go out and obtain it on my own. I would not be at the top of my game as I am today without the HBRA. Mark Groleau, Groleau Construction Co., Inc.
Knowing that I am working and affiliated with true professionals of all the trades for myself and my clients with confidence. Networking at meetings, mixers, and events. I get to meet and know individuals that I would not have met otherwise. Opportunities to stay current with many classes offered and opportunities to directly get involved in various areas of the HBRA. 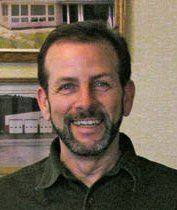 Richard Fournier, Interior Creations, Inc.